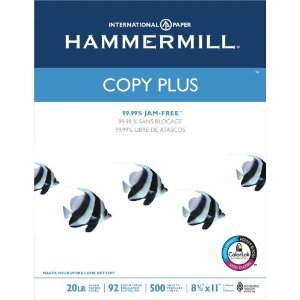 Amazon has Hammermill 10500-7 Copy Plus Multipurpose Paper, 8-1/2×11, White, 5000 Sheets(10 Reams)/ctn for only $6.07. This is such an awesome price you need to RUN over there and get some. At only $6.07 a case, you’re saving 91%. Think of all the coupons you can print.